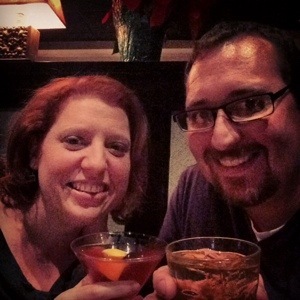 For two weeks my husband and I had been going back and forth about his work Christmas party. Are spouses invited? If they are, should I go? Can we even find a sitter? Can we afford to find a sitter? So it was decided I would not go. But then this week happened, I was good, everyday was planned out. Our office was chaos, the week before Christmas, my office manager out for a (very well deserved) two week vacation. So we had 6 bulletins to print and announcements top proof, candles and fabric to dig out, music to coordinate, shall I go on? Needless to say, it was a tough week and I ended up working on my day off. So by 4:30 as I am attempting to finish my sermon for Sunday (on a very fried brain) I decide I need a night out, even if it is to my husband’s office party. So I was lucky enough to find a sitter (thanks Emily!) and we went to the party and dinner, sometimes we just need a break. I am privileged to have a call and a vocation where I share the good news of Christ with a congregation and the community. But sometimes good news comes in spending some well deserved time with my husband.